WEC Considering Second U.S. Event. WEC is considering hosting a second race in the United States in future seasons. Speed.com story here. 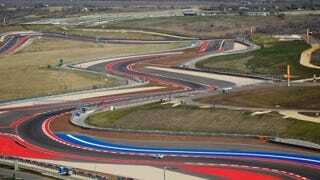 After COTA, where should that second round occur? Conventional wisdom says Sebring, but I don't see a combined WEC-ALMS race happening again. The Daytona road course would be cool, but Europeans have a deathly phobia of banking, as seen by the 2005 United States Grand Prix and the current EU financial crisis. Where would you host the race?